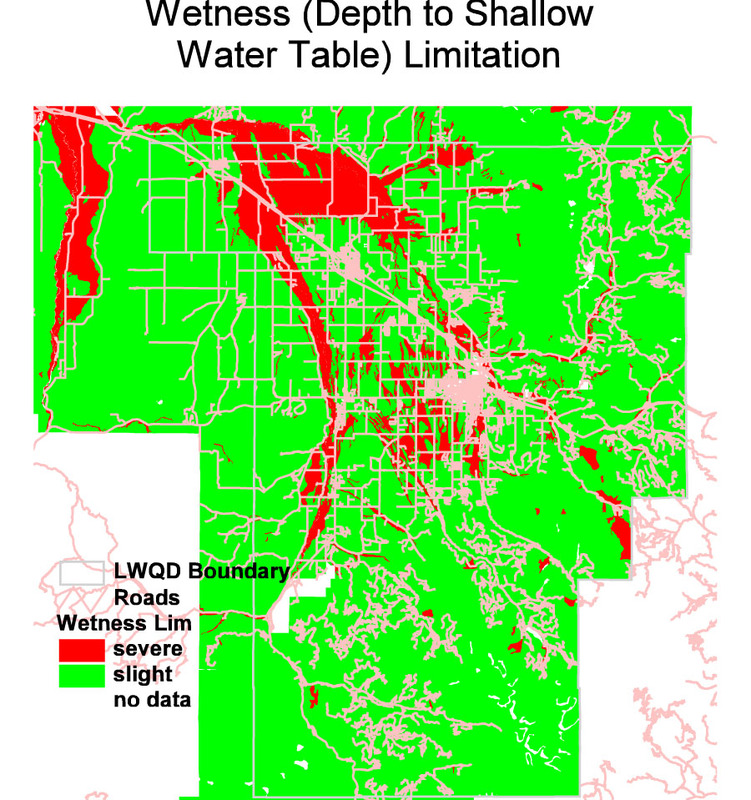 to assist property owners and developers in understanding and planning for septic system limitations. 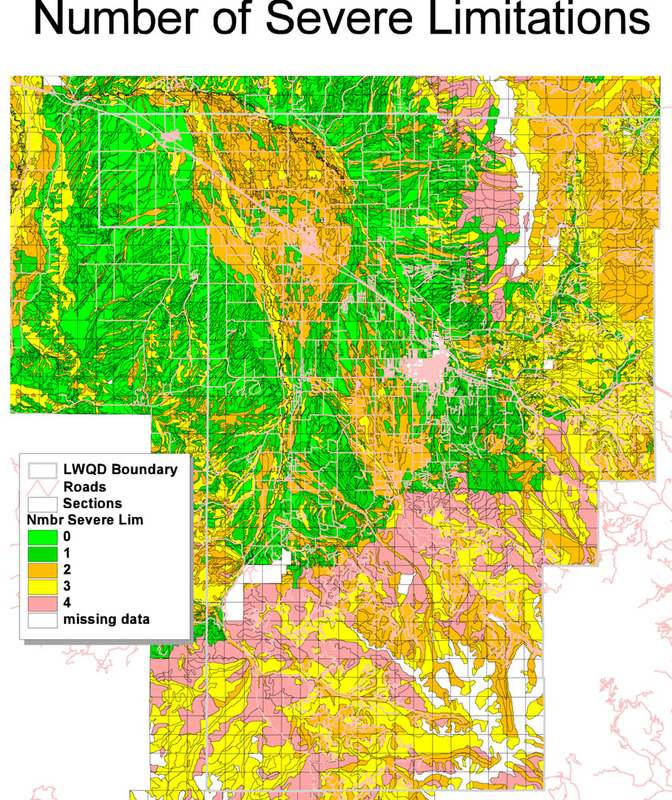 Today, much of this information is included in an updated format on the GLWQD and EHS websites, as well as the EHS and GLWQD online mappers. 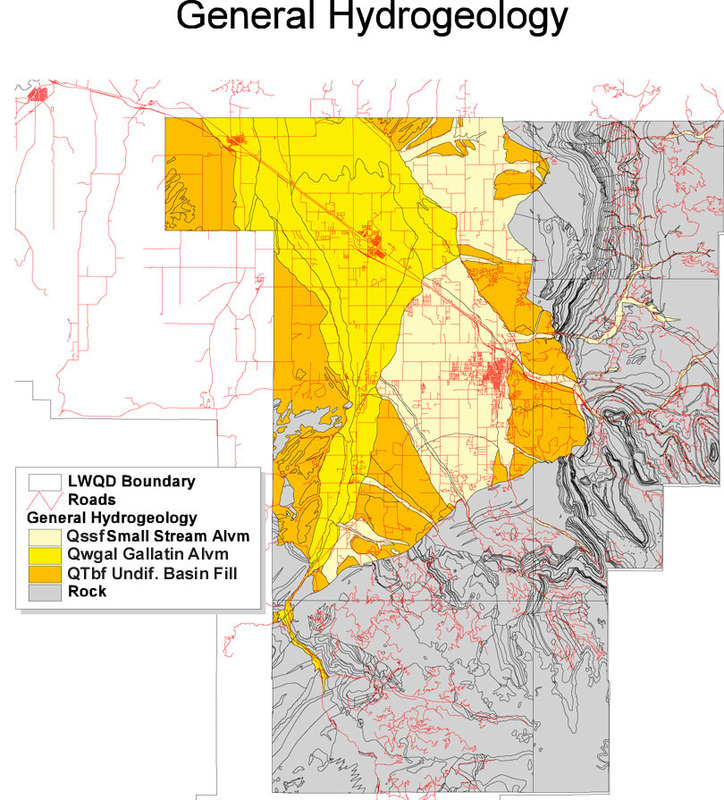 Additional information on septic assessment topics from this project are available below. 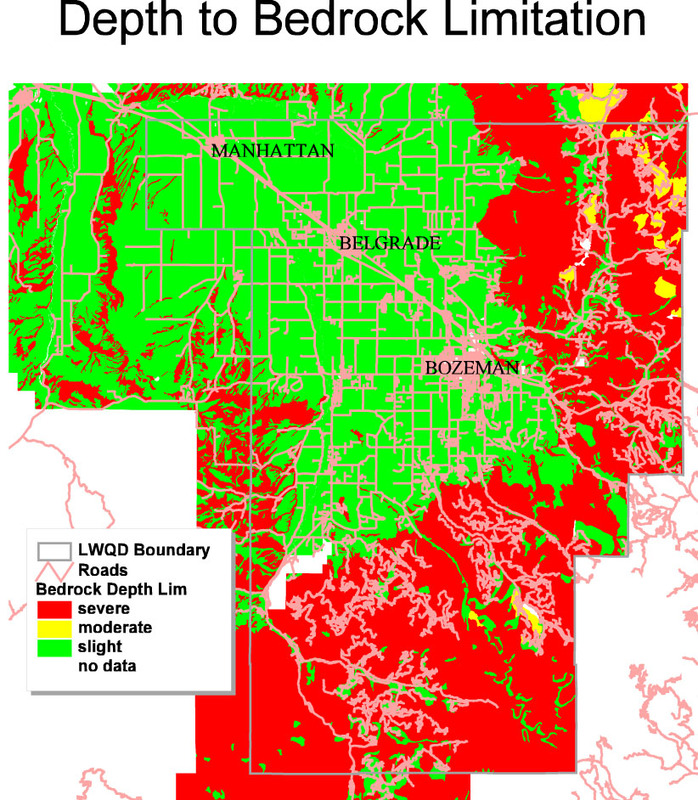 Please note that the GLWQD boundary has expanded since the completion of this project. 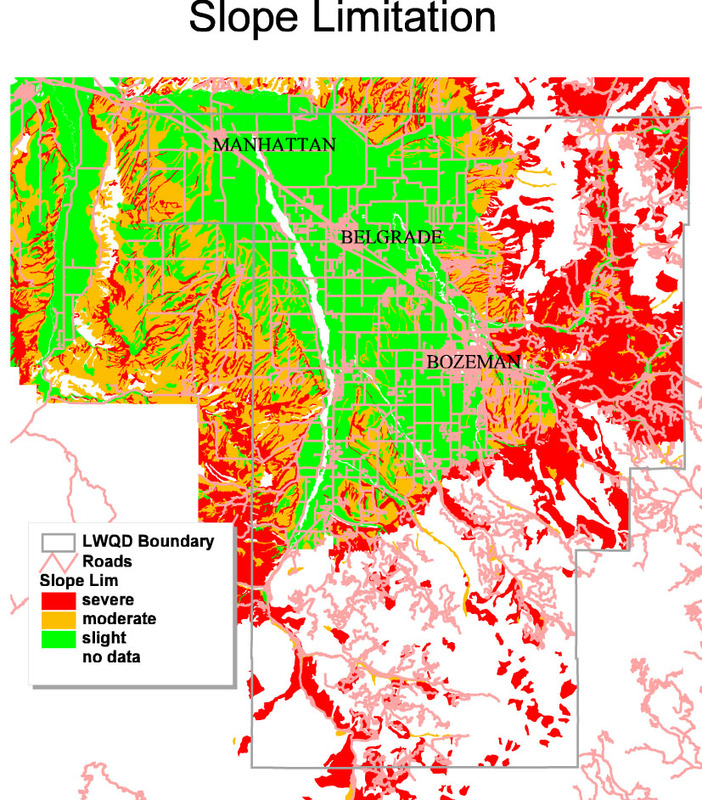 For metadata and assistance interpreting these maps, please contact the District at (406) 582-3168. 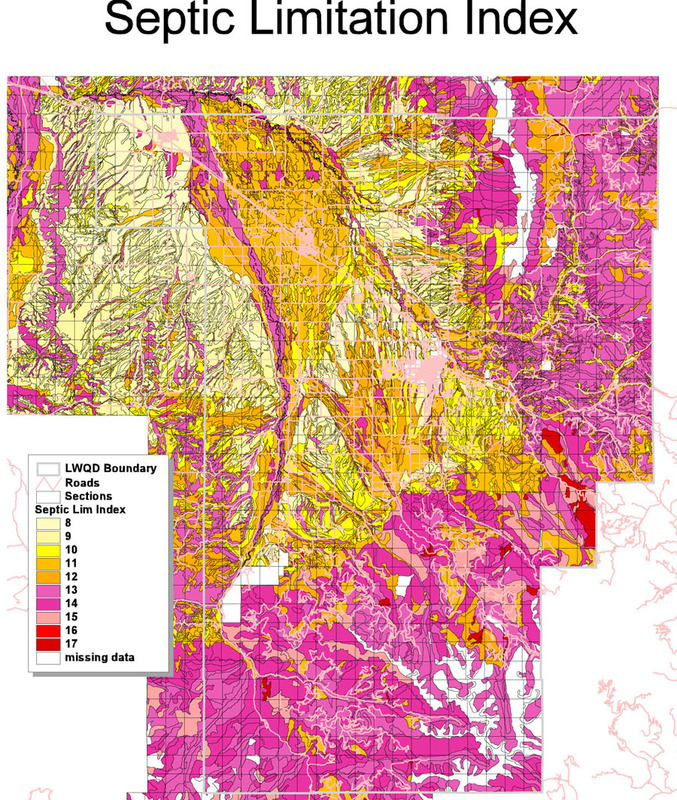 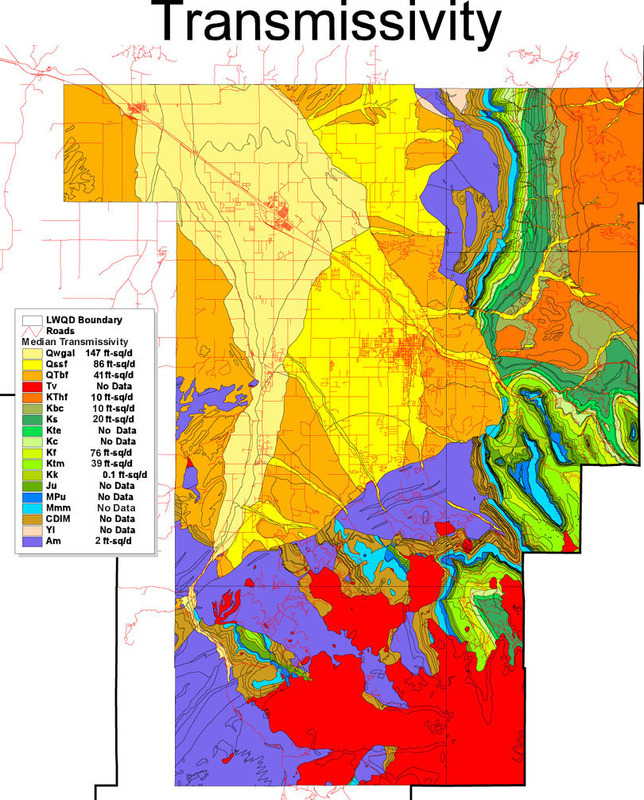 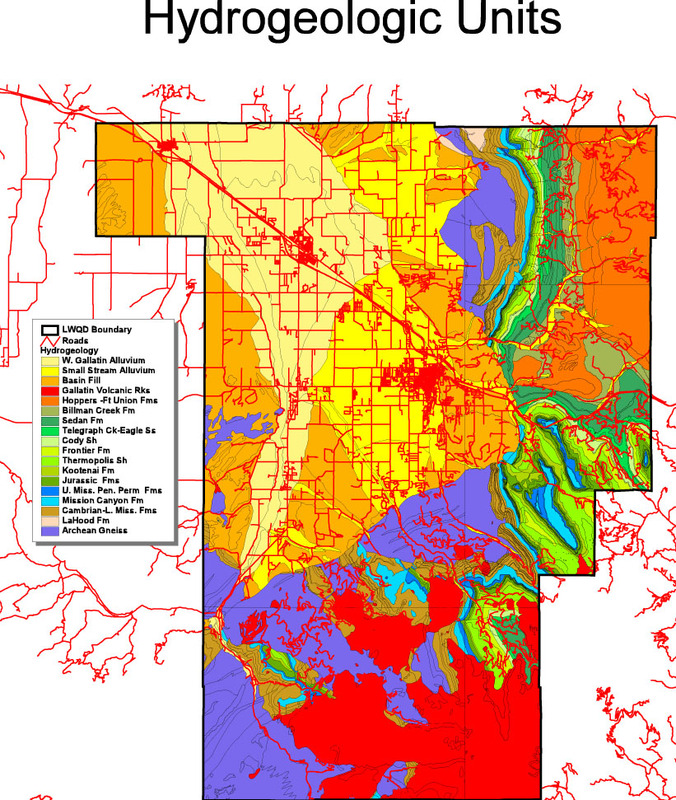 These maps are designed to provide general information about soils in the area of interest. 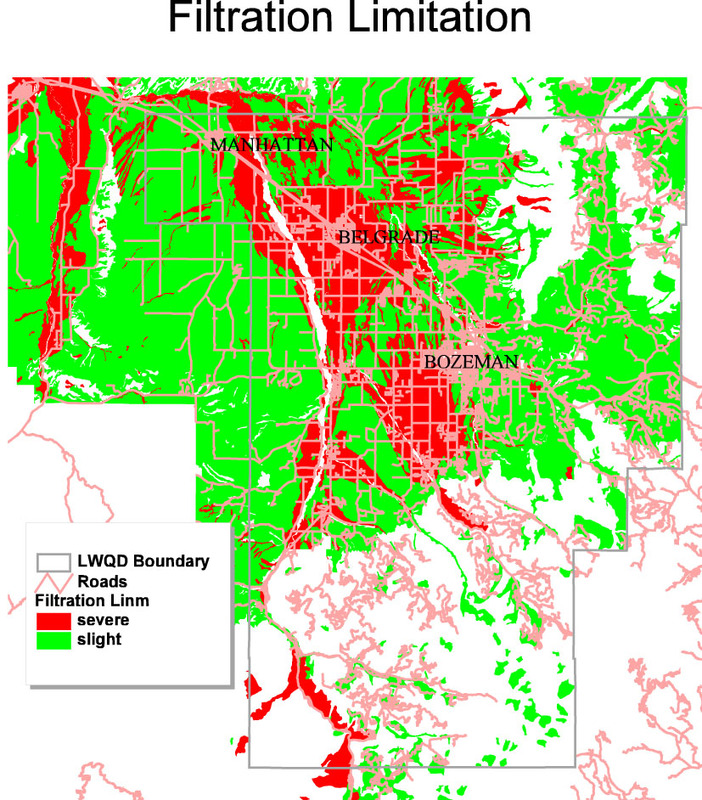 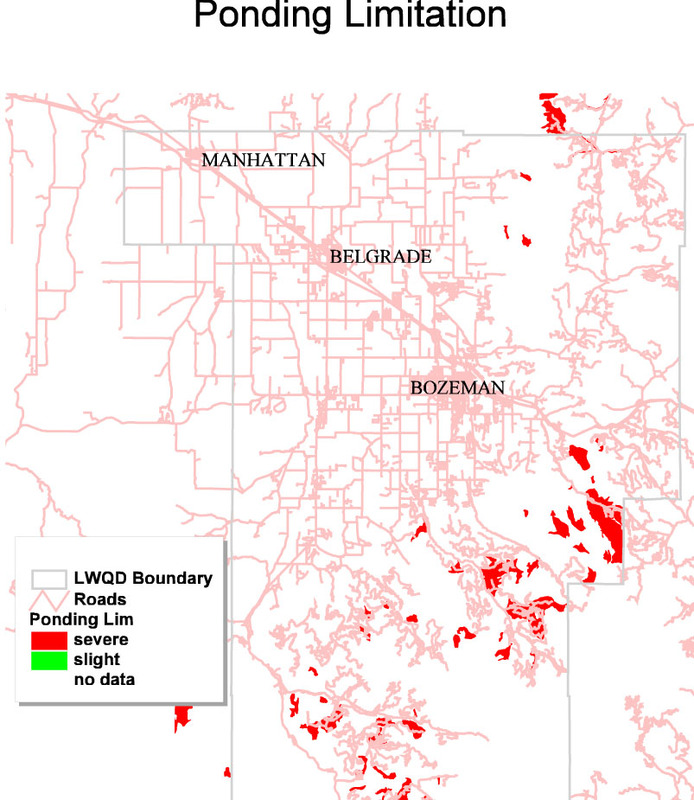 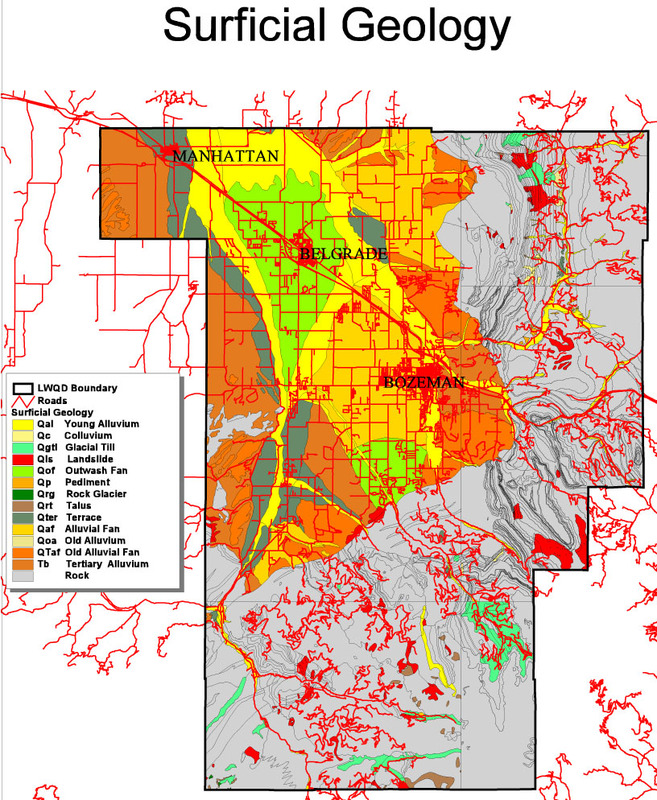 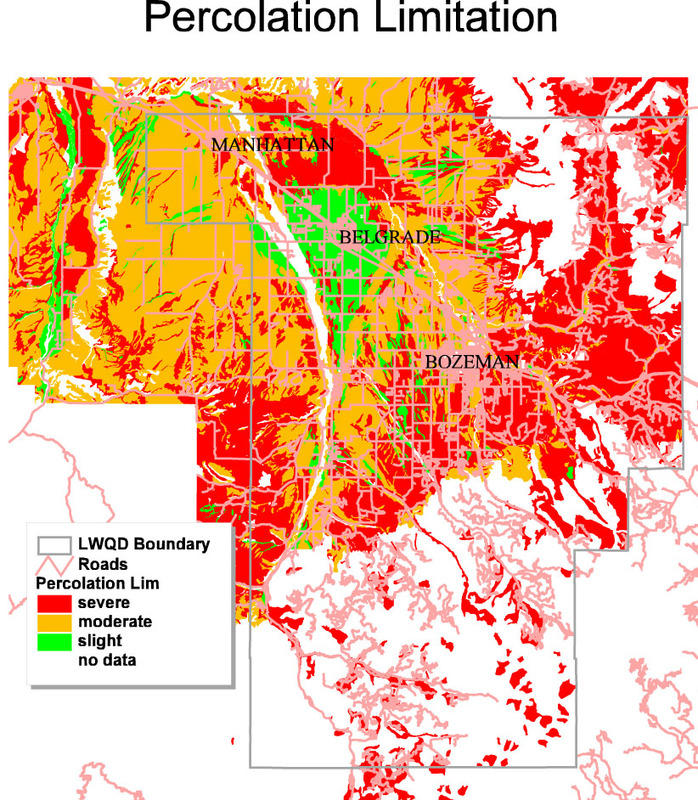 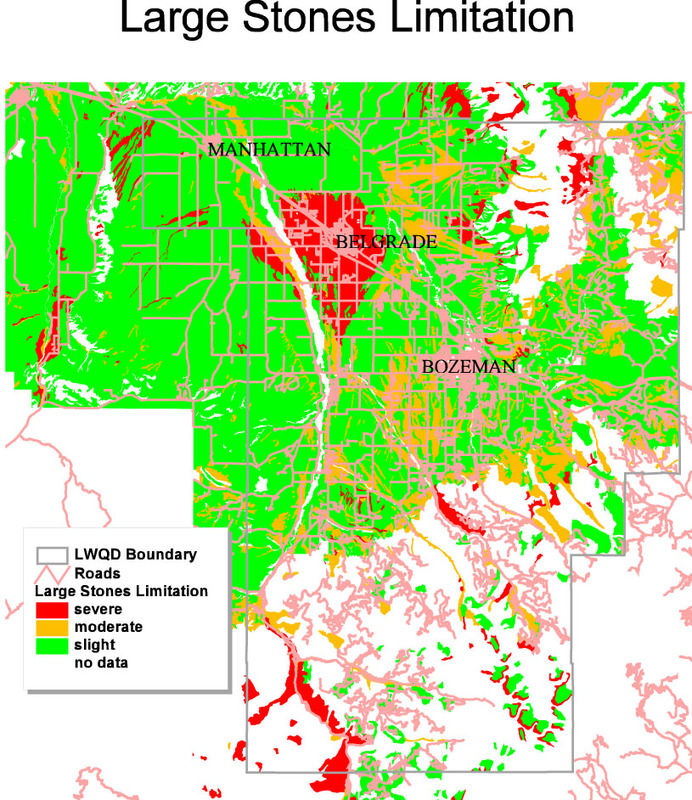 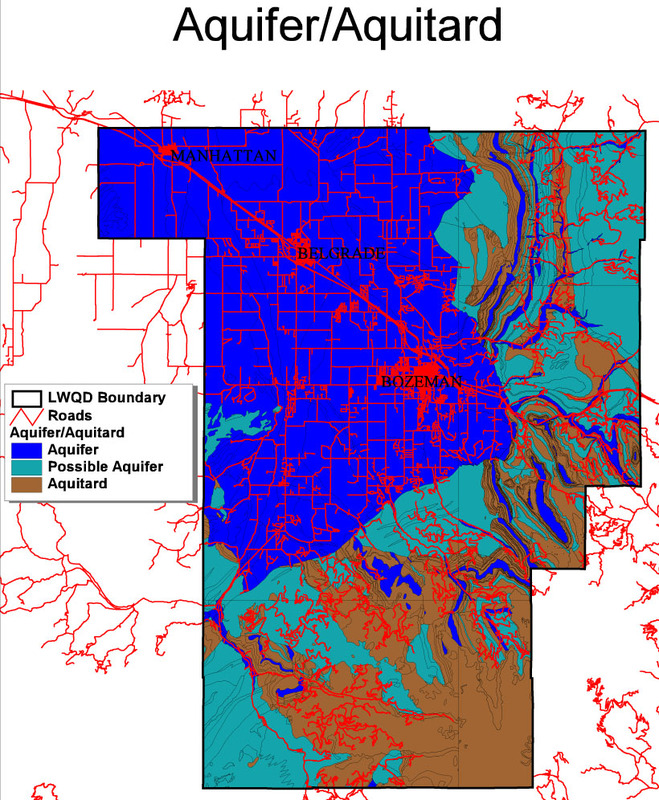 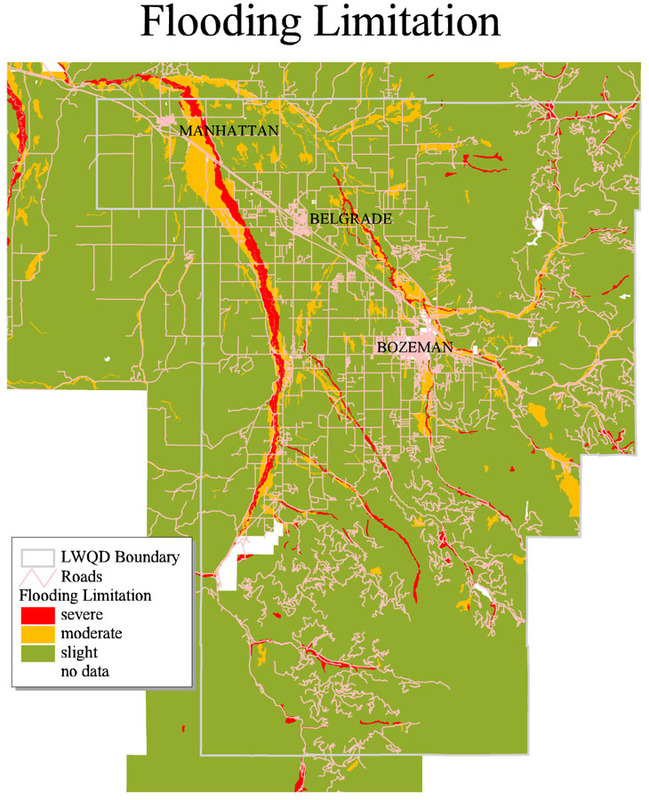 Maps should not be a substitute for a site analysis, but rather to provide information about areas of concern to be explored further with the Gallatin Department of Health or with septic system installation professionals, such as whether a system is possible, and whether special design or siting are needed.